Multi pro Sediment filter And Silver Activated Carbon Filter Set Of 2 With Elbows. 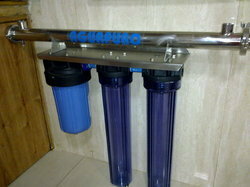 High quality sediment filter with Original spun catridge inside and high quality Silver Activated carbon filter with albows. 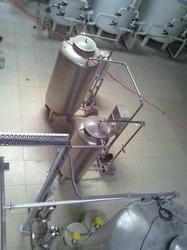 As a noteworthy entity of this domain, we offer our patrons with best quality of Carbonator. Designed as per the industry laid norms, the offered carbonator is valued for its energy efficiency, durability and compact design. Being a quality focused name, we assure that the optimum quality of the offered carbonator is never compromised at our end. 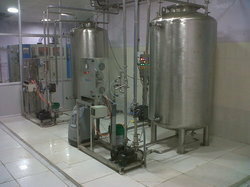 We are involed in manufacturing of chlorinator and verious alliedaccessories (Chlorinators and Evaporators). INDION CHLOGEN is a very reliable and cost effective solution in disinfection technology combining high performance, simplicity of use and low maintenance. INDION CHLOGEN produces chlorine dioxide safely and efficiently. Chlorine dioxide can be produced by using chlorinated water and acid methods. The simple design reduces operational difficulties, resulting in lower operating cost and easy operator control. Chlorination for dis-infection produce dis-infection bi products (DBP) and even work very costly in long operations, hence the ozonation works out to be very economical in long run. 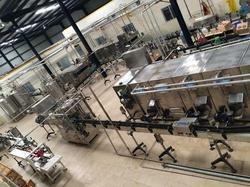 The initial equipment cost become Capex but the operating cost gives pay back within a year or two. We offers Corona Discharge Ozone Generators unit which is based on the corona discharge technology providing trivalent ozone from divalent oxygen available in atmosphere. for some applications where capacity of ozone required is more, we offers oxyge concertrator which gives pure oxygen (O2) which is converted to ozone. Ozone is used for various applications that includes dis-infection of water, mineral and bottled water plants, swimming pool water dis-infection, effluent and sewage water treatment etc.Apart from this ozone find various other application that includes dis-infection of environment in hospitals, public places, offices. 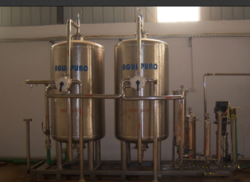 With the constant support of our dexterous crew of technocrats, we are fulfilling the varied requirements of clients by manufacturing an optimum quality Alkaline Filter. Inorganic membrane is a porous fine ceramic filter which is sintered from Alumina or Titania , Zitconia under ultra-high temperature. Ceramic membranes normally have with an asymmetrical structure with porous support active membrane layer_ The macro porous support ensures the mechanical resistance while the active layer functions separation ranging from Microfilhatbn, Ultralitiration and even NanefiltratIon (tram 10pm down tot KD) Ceramic Membrane always runs at a CROSS FLOW FILTRATION mode. The turbid fluid goes through membrane layer inside the single channel or a multi-channel al a high velocity Driven by TransMembranePressure(TMR), the clean liquid with micro-molecule pass through the membrane layer vertically to permeation, the solid and big molecule is rejected in reterdate. The feed fluid is thus clarified,concentrated and purified.